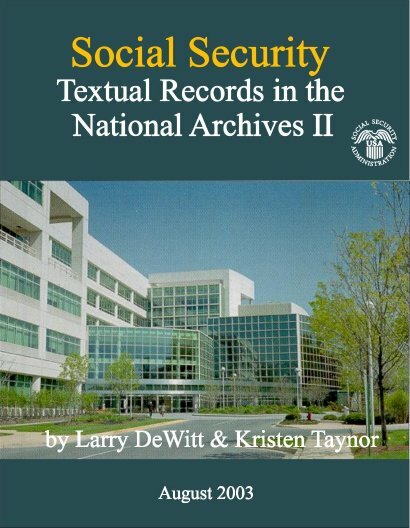 This is a descriptive-inventory at the box-level of the entire Social Security textual collection of the National Archives in College Park, Maryland. It provides specific location information for each of the more than 5,000 boxes of documents housed at the National Archives and provides some descriptive information as well. In each instance, it provides at least the box title and its physical location in the NARA stacks. It some cases, it provides either general descriptions of the material or even folder-level lists of the contents of particular boxes. This is the first such comprehensive descriptive-inventory of the NARA collections in more than 30 years.